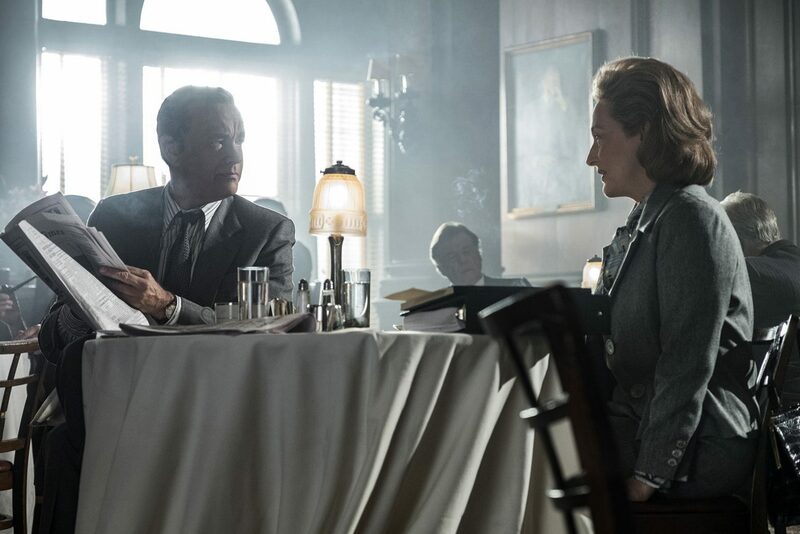 NEW YORK (CNS) — The oddest scenes in “The Post” (Fox), a nostalgic account of The Washington Post’s publication of the Pentagon Papers in 1971, involve Meryl Streep as that newspaper’s owner, Katharine Graham, hovering about its press and linotype rooms. The publisher’s matriarchal beam shines over articles being prepared for publication in a process that takes hours. Letter by letter and word by word, production thunders along on now-obsolete equipment that relied on melted lead bars, barrels of ink and massive rolls of newsprint. In what seems, by current standards, a sepia-tinted era of journalism, the paper would then be delivered by trucks to newsstands, coin boxes and front stoops in Washington. News, in those days, arrived just once a day in print (twice, if the community also had an afternoon newspaper), to be supplemented each evening by network TV anchors, and again weekly in magazines. Four years later, under pressure from shareholders focused on profits after the Post’s public stock offering, Graham would be locked in mortal combat in an ultimately successful effort to break the unions that controlled production. Looking back on that crisis, Graham would eventually sneer, in her 1998 memoir, “Personal History,” that Ben Bagdikian (Bob Odenkirk) — the paper’s national editor who heroically retrieved the Pentagon Papers from Defense Department analyst Daniel Ellsberg (Matthew Rhys) — had “made a cottage industry of criticizing us.” But in 1971, such bitterness had yet to arise. 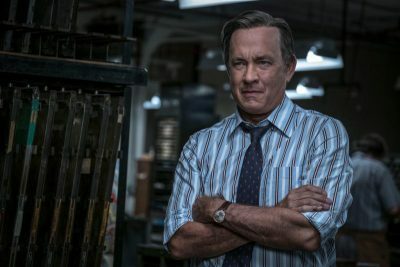 Director Steven Spielberg, working from a script by Liz Hannah and Josh Singer, aims to make a rouser along the lines of 1952’s “Deadline U.S.A.” And, according to that film’s formula of a crusading newspaper in financial peril triumphing over government secrets and crooked politicians, he succeeds. It’s a quaint age of rotary phones, clacking newswires and typewriters, toxic clouds of cigarette smoke and the familiar tones of CBS News stalwart Walter Cronkite. Graham hosts lavish parties at her estate where humorist Art Buchwald (David Costabile) is a kind of court jester. She also counts former defense secretary Robert McNamara (Bruce Greenwood) among her close friends. Post editor Ben Bradlee (Tom Hanks) still basks in the memory of his friendship with President John F. Kennedy, and keeps what he knew of Kennedy’s extramarital peccadilloes to himself. But The New York Times has come across the biggest story of the period (until the Watergate scandal), and this annoys Bradlee greatly since he’s devoted to making the Post a truly national, respected publication. A lengthy study of the Vietnam War, popularly known as the Pentagon Papers and commissioned by McNamara, makes it clear that the conflict was never, despite public pronouncements, considered winnable. It shows, moreover, the degree to which the U.S. effort in the conflict was burdened by corrupt South Vietnamese leadership. Young American men were being drafted into a struggle with no reasonable prospect of victory, rendering their sacrifices, and ultimately their lost lives, seemingly pointless. The Nixon administration obtains a court order blocking the Papers’ publication, and in the interregnum that follows Bradlee and his staff have to find a way to get their own copies. President Richard Nixon was already so hostile to the Post over its social coverage that he had recently banned the paper from sending a reporter to cover daughter Tricia’s White House wedding. Publication risks the Post’s very existence since court action could sabotage the paper’s stability on the eve of the stock offering. Ultimately, the Supreme Court has to decide on the documents’ release as other publications rally around constitutional guarantees of press freedom. But before that, Bradlee and his reporters have to piece the documents together into a narrative. The big decision comes down to Graham, who has been the publisher since her husband’s suicide years before. She falls short of being a feminist and often defers to Bradlee. But she’s devoted to doing what’s right for the truth, even if it damages old friendships. The film contains scenes of military combat and fleeting rough language. The Catholic News Service classification is A-III — adults. The Motion Picture Association of America rating is PG-13 — parents strongly cautioned. Some material may be inappropriate for children under 13.